Good morning! 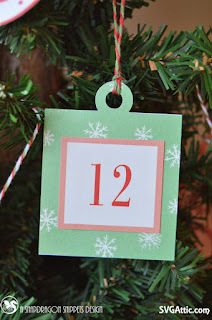 Do you remember the 12 days of Christmas treats that I posted about during The Magic of Christmas blog hop? 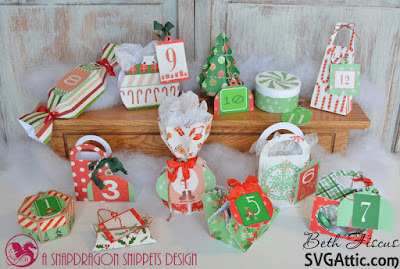 Well today I am here to show you part 2 of that display. For all of the tags on my treat boxes, I used files from SDS 12 Days of Christmas Charms. 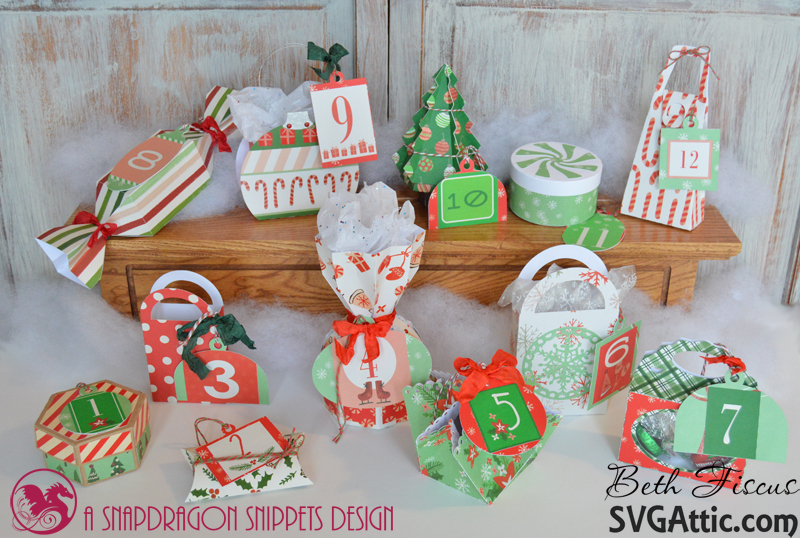 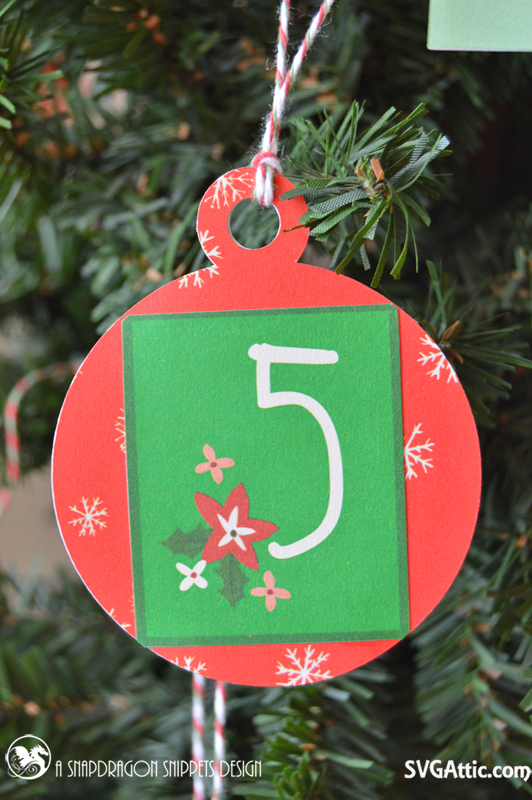 I added the numbers for the days that were part of the Hand-Painted Christmas paper stack by DCWV. 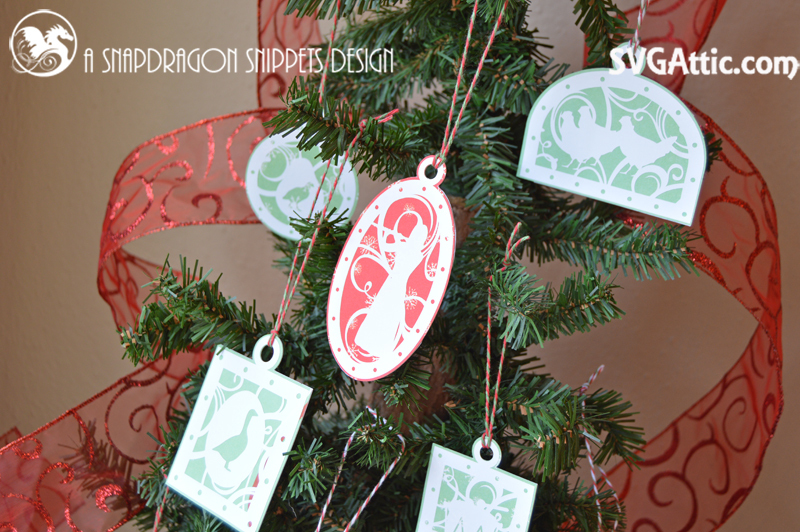 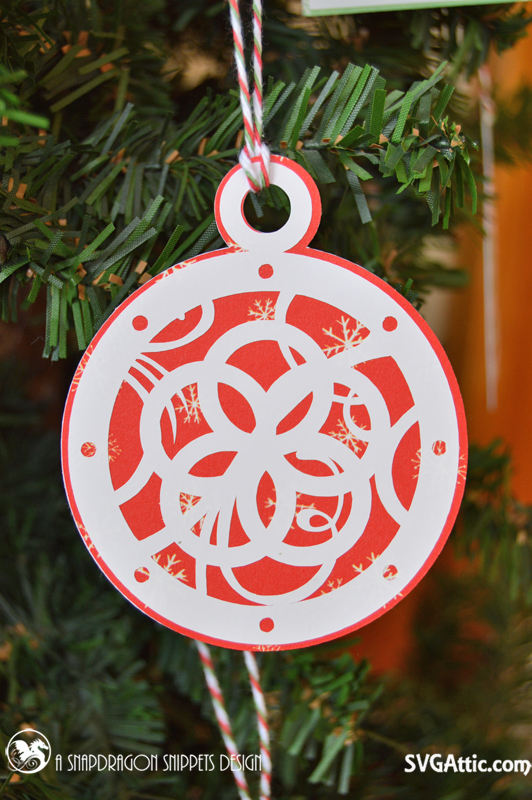 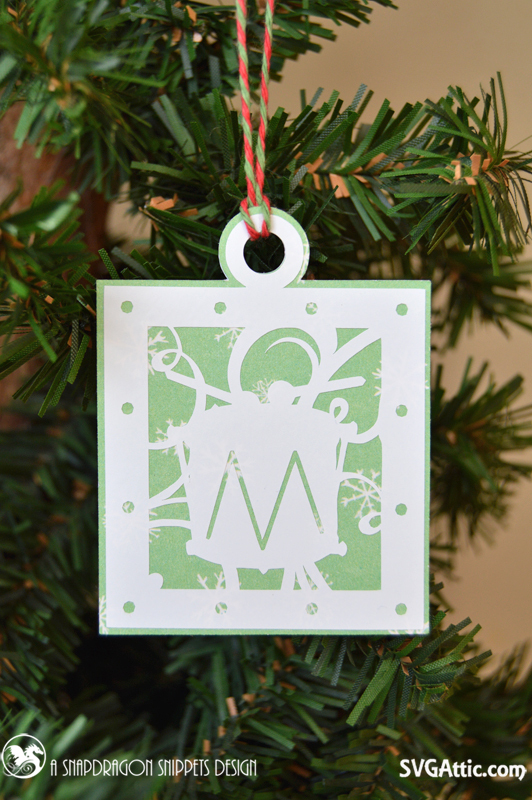 The decorative tag can be hung on a tree after the treat box is opened! 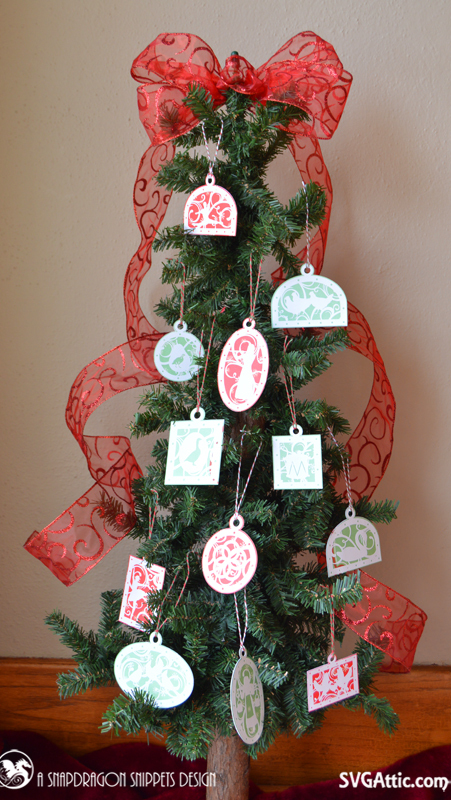 Here is a look at the small tree that fits all of the ornaments perfectly. 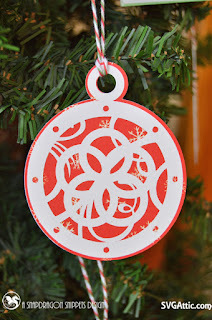 I used Holly Berry and Candy Cane Trendy Twines for the ornament hangers.